Guests are given their own front door key so they can come and go as they please. The Observatory Guest House is open all year round, All rooms are en-suite with tea and coffee making facilities, complimentary Cornish shortbreads, Colour TV, clock radio and hair driers. An iron is available on request. There are fresh towels daily and the house is centrally heated. Fresh local produce is used when cooking and vegetarians catered for. The Observatory is situated close to Falmouth town centre, sea front and safe beaches and is an ideal base from which to visit Cornwall's many attractions. The National Maritime Museum, the Eden Project, the Lizard Peninsula, the Lost Gardens of Heligan, Roseland and Lands End are all within easy reach. Falmouth is a working port and sailing haven which offers visitors varied shops, restaurants, Arts Theatre, Galleries etc. Throughout the year the Falmouth area hosts many land, sea and river based festivals such as the Oyster Festival, Classics Week, Literature & Arts Festival, local regattas etc. You will also find activities and live music at Pendennis Castle, the Princess Pavilion and Falmouth Arts Centre. There are also award winning gardens like Trebah and Glendurgan which are worth a visit, alternatively Cornwall boasts beautiful coastal and countryside walks for your pleasure. 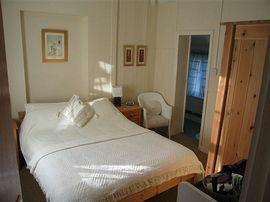 Double Room En-suite £25.00 per person per night. Twin Room En-suite £25.00 per person per night. Family Room En-suite From £60.00 per night, price will vary depending on age and how many children share room with parents. Children in own room, same price as adults. 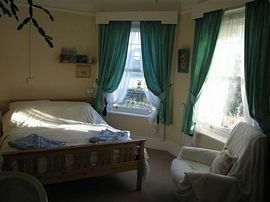 Single occupancy in double Room from £30.00 per night. Price varies depending on time of year. The Observatory is open all year round. Special Diets Provision: Special diets are catered for. As well as a full english breakfast we offer a vegetarian cooked breakfast, yogurt and fruit, porrige and prunes also if you have any dietary requirement tell Heidi when you book and she will get the right breakfast food in for you. Disabled Facilities: There are disabled facilities. 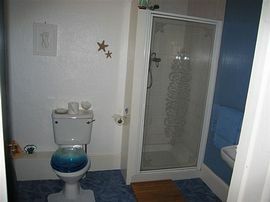 Ground Floor En-suite all with Showers. 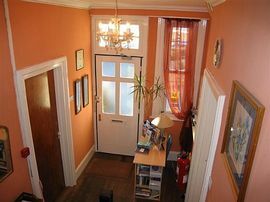 "In a word magnificent... Heidi & Paul are wonderful hosts, Family Room was magnificent & the breakfast magnificent too!" "Lovely place, good food, 100% service, 1st choice on return." "Very comfortable & welcoming, Good Food, Will certainly recommend to others." "Excellent! Fantastic!" "A Fantastic atmosphere, lovely service, brilliant rooms & showers. A thoroughly enjoyable weekend. We'll remember it always. Thankyou." - Paul & Heidi. From Truro follow the road signs to Penryn & Falmouth. At Dracaena Avenue traffic lights go straight ahead, follow the seafront signs. At the mini roundabout take the second exit and we are on the left just past the pedestrian crossing. Parking is available for our guests. There are three train stations in Falmouth you need to get off at Penmere Station. When you leave the station turn left and walk up the hill. At the top of the hill go right. As you walk along you will come to a pedestrian crossing. We are opposite - you will see our sign.